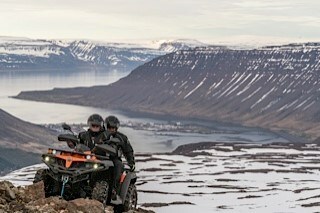 ATV - Ísafjörður offers atv / quad guided tours. 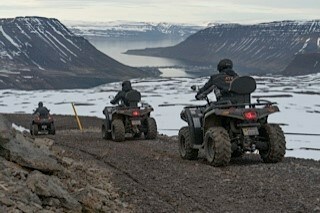 You can experience the varied nature around Isafjordur in a safe, simple and fun way, in a small group. We follow the old gravel paths and experience places that can be difficult to access another way. 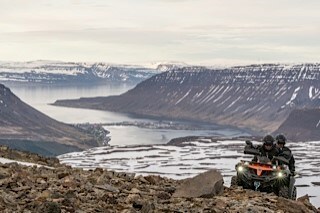 Up in the mountains there is a magnificent view and you can even see the surrounding fjords. Our tours are from one to six hours. Our bikes are for one or two people and easy to drive. You get: insulated coverall, helmet, gloves and guidance. 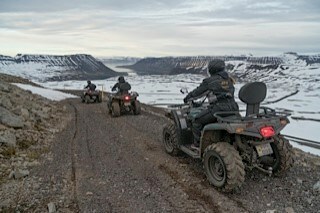 Everyone with a driving license can drive an atv/quad and passengers must be 16 years old. Please contact us for other requests.